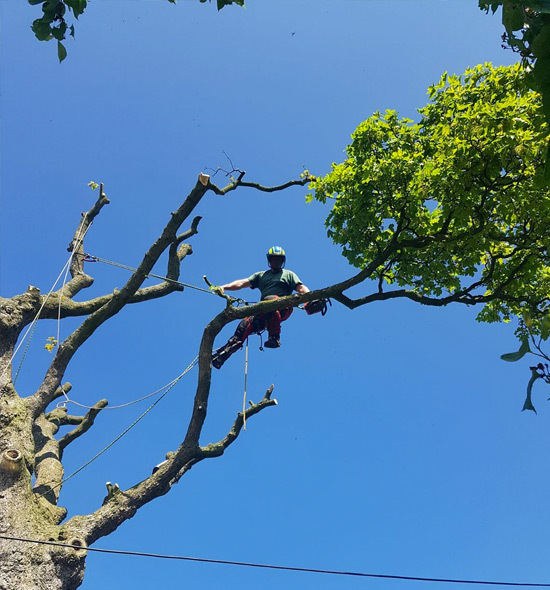 Axcess Tree Services provide a full tree pruning and tree maintenance service to our customers throughout Chester, Wrexham, Ellesmere Port and Wirral and all surrounding Cheshire areas. All tree pruning and tree maintenance work is carried out in accordance to BS 3998: 2010 Tree work recommendations. Axcess Tree Services can assist with checks and applications before work begins. All final cuts will be made at the branch collar, with the branch collar remaining intact. Under no circumstances will any flush cuts be made. All cuts will be made to the standards set out in the guidelines BS3998 (1989). All large limbs will be lowered by ropes and slings to avoid damage to the tree and its surroundings. We will ensure that all sections fall to the ground in a controlled manner. Dead, diseased or damaged branches will be pruned back to the corresponding branch collar. 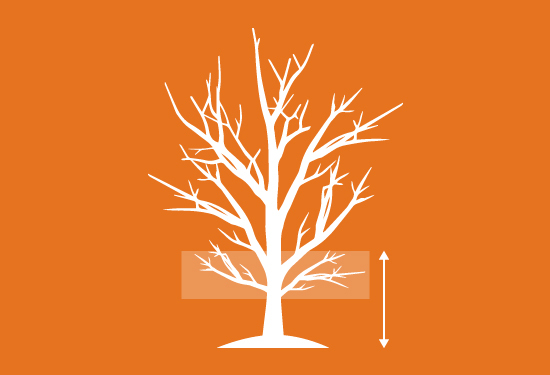 In the case of crossed rubbing branches, the branches will be assessed, pruned or removed appropriately, whilst ensuring that a reasonable overall shape is maintained. Crown lifting is the removal of lower branches. 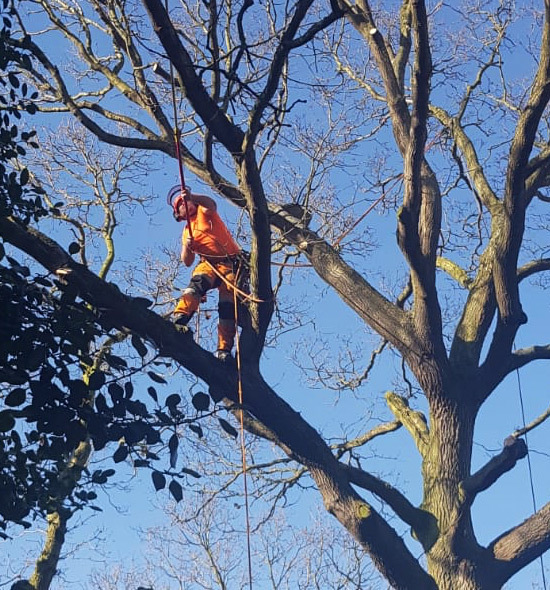 Crown lifting is a skilled technique that is carried out to increase the clearance between the ground level and the lower branches either to allow access below the tree, to clear sight lines, improve views or allow light to penetrate to the ground, while retaining the natural shape of your tree. 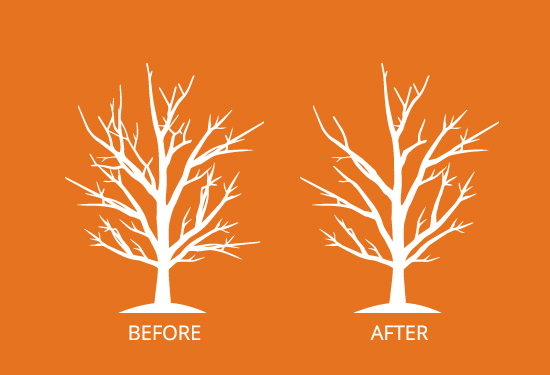 Crown reduction/pruning is most often used when a tree has grown too large for its permitted space. A crown reduction is a pruning technique that removes weight from the end of branches back to a healthy, growing lateral branch, which will form a new crown. The most important aspect of Crown Reduction is to ensure that the amount that the tree is reduced by is relevant to the size of the original crown. This is where you cut the foliage from the outer edge into the crown, reducing the overall shape and size of the tree. 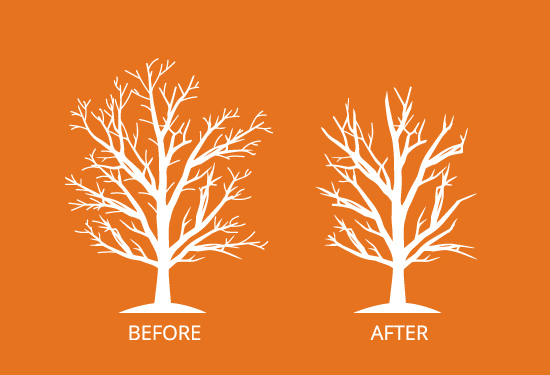 Our tree surgeons will ensure that when they reduce the crown of a tree – it is always to appropriate growth points. It is our aim to keep the tree in as much of a ‘Natural’ form as possible. Crown thinning is an intricate pruning technique primarily used on hardwood trees. Crown thinning is the selective removal of stems and secondary branches in such a way that it produces a balanced crown structure. The Thinning process is aimed to help increase light penetration and air movement throughout the crown of a tree. Axcess Tree Services perform all types of pruning work. Our aim is to retain the beauty and aesthetics of your trees whilst meeting the necessary objectives of the project. Whether the desired outcome is to allow more light to pass through a tree or to reduce its overall size, we always prune as sympathetically as possible to the trees natural form.